A favorite homily these days goes, “Old age is a high price to pay for maturity,” and in fact my understanding of boat power may have increased at roughly the same rate that my ability to remove those damn 158-pound dead batteries declined. Then again, current battery technologies are wickedly complex if you dig down, solid real world comparison testing is scarce as hen’s teeth (for several good reasons), and the factors involved in a specific boat/boater choice are many. I remember how much Panbo readers helped me when I was house-battery young and naive in 2010. (The 70’s liveaboard years don’t really count, and even seem quaint in terms of amp hour capacities, SOC, expected cycles, and so forth.) So the goal of this entry is to lay out my perceived options for discussion. I know I’m not the only cruiser scratching a chin or two about battery replacement, and a bonus is that now I know some guys who have genuine expertise on the subject. For instance, it only cost me a Reuben sandwich and a Bloody Mary to talk this over with my “power guy”, Alden Cole, who’s still very much in the business — now at Lyman-Morse Wayfarer — and who has reached a point where he can discuss boat battery varietals and individual brand bouquets like fine wines. Heck, he once explained to me that it’s good practice when putting together a bank to use batteries with sequential serial numbers (they aren’t popped out like widgets, after all, and a close match helps with a long, balanced life). Alden likes the East Penn Manufacturing 8A8D AGM’s that Gizmo came with — which are sold under Deka, MK and other brand names — and it certainly could be prudent and easy to simply replace them. I can’t fault the Dekas’ service life and I got used to what their total (original estimate) 490 amp hours could do, even after upping their role by replacing an extra noisy generator with solar panels (which, I realize better now, probably helped a lot with their health). But I surely like a boat fix project that includes some improvement, though then again, batteries aren’t just batteries. They’re part of a system and much of a change can also mean changing alternator, regulator, main fuse and/or the safe containment scheme, maybe more. Yes, I may have become a tad obsessed, though Alden didn’t flinch; he grinned. I haven’t put my battery quest to RC (Rod) Collins — the proprietor of MarineHowTo.com who once wowed readers here with his Smartgauge battery monitor analysis — but I did figure out that he’d recently designed an even more elaborate testing challenge, this time focused on the way many of us actually use AGM house banks and published in Practical Sailor. I even purchased an annual subscription to read the three part (so far) series, and highly recommend it (not easy for a curmudgeon who finds some PS practices, like the lack of bylines, annoying). If you sometimes run your engine to charge your house bank, you probably don’t want to do it often or for long (me too). What RC has painstakingly proven is that if you drive AGM batteries to a 50% depth of discharge and then charge them in a typical way for an hour — generally the “sweet spot” when they’re accepting a high amperage bulk charge — they will lose some capacity every time you do it and even when you top them up, they still won’t hold as much juice. The apparent cause is sulfation, and avoidance of partial state of charge (PSOC) cycling is just one facet of treating batteries well (PS and RC shared tips here). Incidentally, RC neatly terms the 50% capacity we shouldn’t use “dead lead” and there’s lots more to his work, like which AGM brands tested best. But I keep wondering if there is a better battery technology that would make sense for Gizmo? While I know that Nigel Calder is keen on advancing the energy/hassle to boat-juice-banked ratio, he’s a hard guy to pin down and a hurried conversation in a hallway at METS only yielded a “carbon foam batteries?” scribble-to-self. That, however, may turn out key to this quest, though I’m getting ahead of the story. I’ve known Bruce Schwab since before Bruce Schwab Energy Systems. Yes, now he sells high-tech boat batteries and much more, but that’s not a bad thing. Consider the system awareness a couple of solo circumnavigations has got to instill and, besides, Bruce is probably going to take your call, too. At any rate, he’s pitching me two interesting products and we’re not done. The Lithionics OPE-Li3 Lithium system he helped develop seems state of the art, and I was already impressed with how well Mastervolt’s system held up to extreme demands. But does lithium make sense given Gizmo’s use case, and mine? Yanking the generator did improve performance, but weight isn’t that critical. And while needed capacity is an entirely different calculation when there’s no dead lead with very fast charging possible, the smallest 110Ah OPE-Li3 — the size range is amazing, pricing PDF here — retails for about $1,680! The real draw is the Firefly carbon foam AGM batteries which Bruce distributes nationally. It turns out that this is the technology that has at least tentatively excited Nigel (PDF here). The Firefly is also the only battery that came back to full capacity after RC’s grueling test regime (though he too awaits more real world user experience). Plus, I didn’t turn tail after a deep dive into Firefly Energy presentations and, hey, they’re made in Peoria. The Firefly is only available in Group 31 size, and two will not fit in a Gizmo battery box, but neither is box modification or replacement a major task (he said), and never having to move an 8D again is an improvement. Four Fireflys totaling about 440Ah purportedly far more resilient to sweet spot charging with far less dead lead should be an improvement I enjoy on a regular basis. And in this case the $/kWh calculation over battery lifetime might justify the higher initial cost. “All a tentative rationale” you say? Please go on. Finally, consider the snappy Firefly installation below as perhaps another positive data point. There’s actually 8 batteries total, 4x parallel 2x serial to drive that 48v Thoosa electric propulsion and also step down to house loads. My notion: whoever put this together — Bruce only supplied the Fireflys, though he certainly offers system design — thought long and hard about battery selection. Do I need “real” counseling? Obviously, more to come. Genasun & Victron, power to spare? It’s fun to get excited about battery high tech but at the end of the day the most reliable / fool-proof battery might be a traditional lead-acid battery (non-AGM). AGMs all suffer when they are not regularly charged all the way, which seems to be the normal situation with cruisers who usually anchor over night and don’t have a generator. If you go to a harbor every night and plug in to shore power, it’s a different story. Well, as a pushing 70 sailor, I just went through this decision making project for a 40 foot sailboat. My last House bank was made up of three, 4D Lifeline’s, 135 lbs batteries that lasted 10 years with seasonal use. Last summer I found the bank not holding a charge as it had been. This was my second set of Lifelines. The first set lasted exactly five years and died a dramatic death. The original Lifelines had the following charging systems: a 125 amp alternator with Ample Power SAR V2 regulator, (not really programed for AGM’s), a cheap no name solar regulator, and Air-X wind generator. Current draw was from old incandescent lighting and big draw electronics. At the time I considered five years pretty good so bought another three, 4D Lifelines, however, I also started upgrading the charging systems. The Alternator was changed out for a 180 amp and a Balmar MC-614 regulator. The solar panels got a Blue Sky Solar Boost 2000i MPPT regulator (now upgraded again to 3000i). The wildly uncalibrated Ample Power monitor was replaced with a Smartguage after reading the work of Rod Collins – Compass Marine. Although I like the Smartguage, the programing routine is something out of the 1980’s and needs to be redesigned. The Air-X was replaced with a Marinebeam MK 4 Wind generator. In my opinion, and I’m not an engineer, the Blue Sky Solar Boost regulator is the primary reason for the Lifeline longevity. I think the MPPT technology does in fact prevent sulfating and it does extend the banks life. I also went totally LED and newer electronics draw less current, but I have added more of this low draw gear so not sure if I’m ahead on this. I considered the new Firefly batteries but just could not pack enough of the Group 31’s into the space I have in order to equal or exceed the amp hours I had before. Newer Li batteries, regardless of their performance and attributes, were out of my price range. There was a lot to be said for not having to redesign my battery compartment so that was a factor in staying with 4D size batteries. One of my biggest worries was getting the old out and the new in, especially now that I’m almost as old as Ben. I got lucky and found a young kid in the yard to help. We had a language barrier to start with, but I did get the idea across that these big old batteries had to come out of the main salon, go up on deck and down the ladder to the ground. I turned around to find a boat cushion to use and when I looked back he had the 4 D thrown on his shoulder and was climbing out the companionway. No big deal…. I paid him very well and was grateful he was passing by. Battery technology is a slow moving field, and the main focus is on personal electronics and EV’s, neither of which are close to marine deep cycle usage. The distinction between partial and full charging as a use model is probably a very apt one and likely to be subject to self deception, as the generator is turned off “too early too often” at times to preserve tranquility that may well justify investing in more robust technology that will tolerate the abuse. I just had my Wilbur 46 travel 8000 miles through the Panama Canal and the tail end of two hurricanes. In Nicaragua had massive battery problems. The alternator for the house bank had a damaged regulator and ruined the AGM bank. Trying to get AGM in Nicaragua and through customs was going to be a 3 week affair. We were in contact with battery manufacturers in the US, local “experts” in Nicaragua, and trying to get to Mexico where the help would be better. Some of the issues that needed and need to be addressed. 2. Does the charger have the capacity to handle two or more banks with different types of batteries? 6 Also used solar cells as well and in the Maine daylight still generated lots of amps!! Ben — despite all the new tech out there, there’s still something to be said for a large bank of 6V deep-cycle golf cart batteries. My Trojan T105s have been in service for seven years now, and see to be doing just fine. Granted I usually only weekend my sailboat, and don’t make huge demands on the house bank; but they always seem to charge well. Cost-wise, they’re very efficient; and they’re sure a lot easier to move around than 4D or 8D batteries. When it comes time to replace them, they’re readily available, and fairly priced. My vote would be to get 4 x 6Volt deep cycle lead acid batteries like the US Battery 2200 series. 2 batteries lengthwise would fit exactly where the Decca’s were. You would just need to shim the width because the 6 volts are narrower (1 1/4″ taller). Total weight would drop by 70 pounds from what you have now and you would have 440 ah (20 hr rate). These batteries may last a few years less than the firefly’s but the price for 4 is half the price of 2 fireflys. I can’t see how the cost per KWhour could be any less. Most cruisers I know swear by this setup. I have it on my boat and have been very happy. Downside is keeping an eye on the water levels, you may want to pay extra for the convenience of not having to do this. I am on year 8 with my Trojan T 1275 12 volt, 150 amp golf cart batteries. Well used in full time livaboard cruising. From what I can tell, they are still VERY healthy. But it seemed like a number of experienced users are quite adamant about maintenance needs (not my strong suit), very conservative DOD habits and to-the-top charging. Is standard lead acid tech really less prone to sulfation? I probably should have made it clearer but the powerboat Gizmo often gets used a lot like a sailboat settled out in the islands. No shore power last season until I could wrangle into Wayfarer’s marina in late October, refrigeration and a few low draw gadgets running 24/7, and then me showing up to geek around or enjoy my waterfront office (and inverter). The solar panels help a lot, and when I do get underway the 140amp alternator and Balmar MC-614 really take care of business (well, there are pretty significant electronics loads). Bottom line: I think I will really appreciate increased capacity and sometimes faster replenishment if it’s real. For those with Lead Acid, you might want to check into TeslaChargers.com , which I’ve been following for many years. I’ve heard no complaints. Also check out their FAQs for how and why 15-20 life span is cut to only a few years by improper charging. Would seem that the battery industry just wants you to keep throwing out the ‘old’ ones and continually buying new. Sounds like a viable business plan…. for them. I see lead acid forklift batteries are rarely mentioned. I’ve had 12, 2v cells for a total of 1200AH in my sailboat going on 14 years. That’s pretty darn good, I imagine. But it would be useful if commentators tried to sketch how they use batteries they’ve liked, or didn’t. It’s hard — one reason why reliable real life comparisons are so rare — but it would be helpful to know how deep you discharge them and high you charge, typically or better yet by % of time guesstimates. Cycles of course would be really nice, but not without the SOC characteristics. And obviously the boating style they powered also helps. It’s funny how it works some times. Before me, for instance, I think Gizmo spent a lot of time in a marina with shore power and went on relatively short cruises during which the generator was used intermittently. It was probably pretty good for the batteries but then again the owner didn’t spend much time enjoying what the batteries could do. How do you put numbers on that? Related: Boat batteries remind me of autopilots. I believe they get sold largely by reputation but that’s a somewhat flawed process because the same AP can perform variably boat to boat, user to user. It’s not anyone’s fault; it’s just that better means of comparison are hard. This post is hits a nerve for me since I recently had to replace my batteries. Looking at your battery boxes, I would recommend looking into the L16 size batteries. I removed 4 8Ds and installed 8 GPL-16T Lifeline batteries in less space. I’ve used a Flexcharge NC25 controller for two 125 Watt solar panels + a wind turbine, plus a three stage shorepower charger. Every other year we cruise steadily, off years are just weekend sailing. As I turn 70 years old this month, I’m delighted that I don’t have 8D batteries. New technologies are fascinating but not yet cut & dried. Quality batteries are expensive because lots of lead = lots of power = lots of $$$. There’s no escape. If maintenance is out, then the Firely batteries make sense. Thus far I have not been able to diminish the capacity of the Firefly battery that was used for the Practical Sailor testing and the abuse of that battery has gone far beyond logging the data for that article. I actually left it in my hot shed for multiple months after discharging it to 11.7V or about 20% of capacity. It fully recovered. I used it as a reserve/start bank to my LFP bank and only ever charged it to 13.8V. It fully recovered all of its capacity. I have discharged that battery to 10.5V, at the 20 hour rate, for 20 hour capacity tests, at least 30 times and it still has all of its capacity. When looking at the Firefly batteries don’t forget to include the fact that they are designed and intended for PSOC use to 80% DOD then cycled back to 80-85% so you are actually using 60-65% of the battery, even when out cruising. Compare this to just 30-35% with standard non-PSOC resistant AGM batteries and the cost becomes aa relative non issue when compared to other premium AGM’s..
That 80% DOD figure often chops an entire AGM battery out of the equation so the $425.00 per battery becomes a much better deal when you need only three vs. four of another brand. The cost of lead acid batteries, not just AGM, can not really be judged on the box price alone. Ah capacity, projected cycle life, usable capacity, and lifetime watt hours or Ah’s delivered are what will determine actual battery cost over the long haul. The box price of the Firefly slightly higher than other premium G-31 AGM’s (Lifeline, Odyssey, Northstar) but not by a huge margin and the Firefly only comes in G-31. When you consider that the other batteries should only be cycled to 50% DOD, to maximize cycle life, and don’t handle PSOC use nearly as well, it certainly makes a strong case for these batteries not costing as much as they may appear to, when judged only on the per unit “box price”. One other good point rarely talked about is that with the Firefly battery at 80% DOD this means you are in the very efficient bulk charge stage (constant current) far longer than if you started at 50% DOD. This means you can return considerably more usable energy to the bank in a shorter time frame than with an AGM only cycled to 50%. Long term data on the Firefly? We don’t really know, but what I have done to the Firefly’s I’ve been putting through the paces would have long ago murdered any other lead acid battery that I know of. Sorry I’ll miss you and Nigel & Bruce today.. Your Panbo comment is so appreciated. Remember, folks, a Firefly carbon foam AGM is a lead acid battery, just with a plate technology that RC finds a major improvement. Damn! Just after enjoying a strong dose of consumer confidence I hear that there may be a Firefly problem that RC did not and could not test: quality control. I’m off to the boat show, power geek lunch included. More to come. Can you leave the existing charge system in place for Firefly’s? No need to change to a new type charger or charge controller? Unfortunately, your request for data on how a battery bank has been used is almost impossible. I thought I knew by reading my Victron monitor until RC set me straight on that! My battery bank has sat unattended over a few winters, been at the dock for some long periods and has also been out cruising for long stretches where I ran it down to at least 50% often and recharged to 80 or 90%. Then I doubled up on solar and now always run 70 to 95%. So my usage has been all over the map but I do know that after 8 years they still drink very little unless I push them hard to 50%, but even then, I have never seen the plates exposed. I am about to begin my third year of testing with 4 Firefly’s wired in series/parallel for my 24v house bank. I have worked them really hard for 3-4 months each year cruising in Scotland and Ireland, regularly pulling down to 20% remaining capacity at fairly high C rates (Terrie can’t believe after all the years of energy conservation that I am turning on every light in the boat and boiling water in the microwave for extended periods of time! ), charging hard (I have a 24v, 195A Balmar alternator) and not fully recharging for a month at a time. I left the batteries at ~35% state of charge for 8 months between seasons 1 & 2 just to see what would happen. I have done a fair number of full capacity tests (i.e. total discharges). All 4 batteries still test out at ~100% capacity, and hold remarkably uniform voltages on discharge and recharge. It sure does look like the carbon foam plates are a break-through technology, although there are some quirks (notably, a progressive walk down in capacity in partial state of charge operation, although this ‘lost’ capacity is then recoverable on the next full charge). The one concern I have is various (anecdotal) reports of poor quality control. Although Firefly has been around for some years (I looked at them as long ago as 2007) the company went through bankruptcy and was then resurrected so there may be some teething problems on the QC front. A buyer should buy from a reputable vendor and ensure there is a good warranty. I was going to mention the QC issues. I believe several buyers have mentioned it on various forums. Hopefully they get it sorted because the advantages for the average cruiser are pretty big. A number of years ago, John on Morgan’s Cloud had to deal with the short lifetime of his Lifeline AGM’s. The end result was that Lifeline now recommends equalizing their batteries on a regular basis (see http://www.morganscloud.com). I have not read RC’s Practical Sailor series yet and am very curious whether he included this in his discussion. Very timely Ben! I just completely eviscerated my DC system on Grace and was about to make a purchase decision on batteries. The rest is all MasterVolt and I’m happy with that part of the investment. Based on the comments so far, Firefly is looking very promising. I already sent an email to the local Seattle dealer! This makes me reevaluate if I should install a few solar panels and a MPPT controller to keep my batteries as close to full as possible? Has anyone found that solar helps prevent sulfating? If one of the newer technologies doesn’t seem to fit the bill, I would agree with some of the other commentors that Flooded Lead acid is a much better bet than AGM’s. The house bank on Visions of Johanna is made up of 2V Rolls/Surrette cells and is now 14 years old with several full years of cruising aboard and long seasons when the boat was in Maine. It is a little hard to judge how our capacity has aged, as we have made other upgrades, including much more efficient refrigeration, but we still get very good capacity even 14 years later. Maintenance is much reduced with “hydro” caps which we installed on about year 3 and extended the time between water top ups by a factor of 3 or 4. I have also seen some cool hydration systems, where a reservoir is connected to self leveling caps via tubing (https://www.facebook.com/Battery-Hydration-Systems-Inc-1449532201980319/). Our batter Access is pretty good and we prefer to know how much water each cell is using, but if worried about maintenance, or access is poor, then these look like good options. That said, when the batteries do go, I hope that the cost of a newer technology will have come down enough that we can increase the house capacity and charge rate a bit. Keep us informed of your process. Wow, has one boater ever received so much thoughtful and well meant battery advice? Big thanks to all so far, and here’s hoping that this discussion is useful to many. * I realized that I can not remember the last time I topped up a battery, or spilled some acid, or even smelled the stuff. No regrets. * While I admit to being a little sloppy on maintenance, I’ve always been boat battery aware and somewhat attentive (not to mentioned worried). I aspire to move from maybe “B-” to “A” status, but the prospect of buying and installing a new set of quality deep discharge batteries and then trying to use only the top 25% leaves me flat. * In fact, I’m wondering if cruising culture has been infected with some insidious level of battery guilt. Yesterday, for instance, I received an email titled “I recently discovered I had killed my house battery bank” though I sense the source is highly conscientious and the long, detailed diary attached didn’t seem to jibe completely with his self blame. * At this moment in time, for my boat and how I use it, Firefly carbon foam AGMs look like a good choice, and I may pull the trigger very soon. Are TPPL lead acid batteries no longer a favorite of Nigel’s, after Lithium Ion ? Sorry, Dan, I’m not sure of your assumptions about what Nigel likes, let alone the context, and we did not talk about either battery type. I don’t think that anyone doubts Lithium-ion technology as a very exciting form of energy storage. At lunch yesterday, Bruce mentioned how quickly and happily some of his racing friends and clients adopt to suddenly having a lot more and/or easily replenished power. On the other hand, I like a local rumor that Moonwave ( http://www.moonwave.com/ ) may get updated to the first full-on Torqeedo Deep Blue Hybrid system ( http://www.torqeedo.com/en/products/hybrid-drives ) right down the road from me. But Stan is not a mere mortal and Bob is at least a deeply experienced power guy. At first I had to groan, yet another new improved battery, it’s hard to keep up. But after reading loads of stuff about Firefly, it’s my clear choice for you to test on Gizmo. Did you see the DOD vs Battery Life in Cycles chart from the specs? It’s so excruciatingly slow getting AGMs back up to 100% charge. Running the engine just for this purpose is absurd. For those without shore power, the choices include EFOY, solar panels, and getting a small Honda generator and running it through your shore power battery charger. Or going to Li-ion. Do test out the Firefly BEMS too. Just went through this myself Ben. Like you, I’m not about to nurse a bunch of wet cells and I certainly don’t have time to run tests. So I went with the data I was getting from RC and Nigel. I bought 6 Firefly G31s for the house, 2 for the start, and 4 more for my forward thruster/windlass bank. BTW, I bought through the Seattle distributor. One battery on the pallet was very slightly damaged from a forklift after falling through the top of the pallet boards. They immediately swapped it out with paid shipping and no waffling. Two thumbs up to them! I enjoyed the discussion of this issue. I read with great anticipation how I might use the new Firefly battery. But having a 38 foot powerboat with a house/start configuration that gets about 8 years or more of service from 6 6volt golf cart batteries, I became quickly to the realization that to replace the CG batteries would require about five times the outlay. So, while I would like to use the new technology, I can’t seem to agree with some of the thoughts that suggest that cost over the long term are equal – If the firefly would last for forty years than maybe it makes sense. And I must agree that not having to check the water is nice – but I am always in the engine room. Just the two cents of a boater on a budget. Sounds like you assumed I was talking about “racing boats” when we were discussing Li batteries the other day. Our primary Li battery clients are indeed high performance cruisers and powerboats! Racing boats typically don’t have much loads (unless they have a canting keel), so they don’t have much battery capacity anyhow. It’s the larger cruisers with AirCon and other high loads that want to reduce genset run time, or eliminate the genset altogether by adding high-power alternators to their engines (plural, as in catamarans). Firefly is similar but better. But a battery used only for starting an engine doesn’t need the same features, so does Firefly have any advantage in that usage? For starting batteries, the FF is probably more than necessary. They will work fine, however decent starting batteries can be had for less $. Thanks again, Norse! I meant to check out what Steve was doing, and, boom, there it is: an interesting battery system apparently well designed, sourced and installed, and then well explained and photographed. Dashew is phenomenal. But he’s also working at one heck of a scale these days. That battery bank weighs 2,400 pounds! Can Bruce or anyone else knowledgeable on the issue elaborate further on the quality control issue? I am considering purchasing get 4 or 5 of these batteries, which is a fairly big outlay of cash. Should I wait until a later time to avoid disappointment? Any issues that have come up, Firefly has quickly replaced as needed. They have been making them for around 8 years, however had made some changes (updated valves, etc.) and there were unexpected glitches. Last year when we had them back-ordered for months I think they rushed some out and that probably didn’t help. Anyhow, seems to be sorted out now. You comment about energy efficiency is spot on. If you are a cruising sailor then your battery needs are quite a bit different from the weekend sailor that can plug into the dock every couple of days. For that reason I usually suggest an AGM setup for most long term cruisers. We have had good luck testing Northstar’s and Oddysey’s TTPL (Thin Plate Pure Lead) battery. They are very efficient and can be charged quickly with minimal side effects. The down side is that they must be fully charged after several cycles to minimize sulfation. The Firefly batteries look really promising, I suspect we will be picking up some soon for testing. The TPPL are very high performance for Pb. There are thin-plate versions of the Firefly in the works however for normal deep cycling the current G31 is great. In some applications where there are high C rates like electric propulsion, and the batteries can be charged up reasonably often, the TPPL may be a better choice. However in the PSOC testing done by RC, even the “PSOC” Northstar lost some capacity, whereas the Firefly lost none at all. So, different horses for courses..
Andy, contact me regarding batteries for testing. Oh I love those! I put them on Jammy back in 2012, and just put them on Grace a few months ago. Highly recommended! Nice, Steve. But mainly for reader clarity, the Dual MRBF Terminal Fuse Block you’re using — designed to simplify two 30-300 amp side loads — is different from the 4-terminal blade fuse block that makes sense with my boat’s various low load, but direct, main battery bank connections. I can picture a situation where both might be used on the same bank, and thus avoid a wicked stack of terminals all on the same battery stud — ABYC recommendations horrific! — plus a rat’s nest of tedious or expensive nearby inline fuses. Yay, Blue Sea. Oh whoops, for some reason my browser sent me to the fuse block, not the one you linked! I had a couple of the ones you’re looking at on a solar panel battery array that I put in recently, and they work great. So clean and easy to use! We’ve met at METS and IBEX a couple of times. I am the designer of Blue Sea Systems’ digital meters. The ST Blade Battery terminal is a great little fuse block that really simplifies wiring 24 hour circuits. It can eliminate quite a few of those inline fuse that manufactures supply with their products. The other fuse block that Steve Mitchel mentioned is also a nice way to protect high current circuits coming off of the battery. Usually you have to use a class T fuse to get the required interrupt capacity but these little MRBF fuses meet the AIC for most installations. Complete freedom from the need to periodically full charge the battery bank. Charge the battery (from engine or genset) whenever it’s convenient to meet the capacity demand. The charge acceptance rate is about the same irrespective of state of charge – which means that the last 20% of charge is as fast as the first. A major reduction in engine run time for charging. Considerable less weight and volume compared to lead acid. A read of the Stan Honey article confirms the same. By the way Ben, Stan’s article would be the most considered and authoritative that I have read to date on a Lithium installation. On the surface, the Firefly technology seems to offer a higher resilience to partial SOC operation as does Lithium. From what I have gleaned here, battery bank sizing would be no different to sizing a conventional AGM bank. A system would be configured to cycle the batteries between say a 40% and 80% SOC in order to minimise engine run time and reach a reasonable balance on battery cycle life. The overall battery bank capacity needs to be sized accordingly. For example a 200AH daily load would require a 500AH Firefly (or standard AGM) battery bank vs a 250AH Lithium bank at 80% capacity utilisation. I have been to the Firefly web site and can’t find any data or recommendation on how often they require a full charge. Nigel Calder observed that the batteries fully recovered from a partial SOC after an extended time period. And there is an observation that the capacity of the battery will reduce through partial SOC operation but it will recover by fully charging maybe a couple of times. The main premise of the Firefly battery benefit seems to rest with partial SOC operation and superior cycle life. I’m thirsty for some data to better understand system design parameters. Does the manufacturer recommend or condone regular partial SOC operation and if so do they state or recommend limits? Does partial SOC operation have any impact on cycle life expectations, expected battery life and/or warranty? What is the rate of capacity deterioration when operating at partial SOC? If significant, how is capacity deterioration managed with a battery monitor or other method? Is the final absorption charge time characteristic on par with standard AGM batteries? As a commercial supplier of battery based energy systems for marine, RV and off grid applications, we need data to engineer solutions to meet objective customer expectations. It looks promising that the Firefly batteries sit somewhere between quality AGM solutions (like Lifeline) and LiFePO4 batteries. I think it’s incumbent on any new technology manufacturer to go the extra mile and provide the data so that a proper use case model can be developed in order to realise how the product will actually perform. As a marine electrician I built it first for education and experimentation purposes and secondly for my own personal use. Now that we have been using it for about 4 years you’d now have to pry it from my cold dead fingers. Still, its not for everyone. I also worked/consulted with Stan when he built his own LFP bank and Stan had some great ideas of his own. I suspect he’s been pretty happy with his system as I’ve not heard from him in a while.. LFP is great but it is not an ideal fit for every boat owner or every budget. At this point I really prefer to see folks using factory made systems such as Bruce’s Li3 system, Mastervolt or Victron. Heck even our ABYC committee has not yet finished developing the High Capacity battery standard, but it is moving in the right direction. Even just reading that is not for the faint of heart. LiFePO4 is impressive, but DOD is still a big factor. This company makes LiFePO4 and NiFe batteries for solar panel farms, not marine use. Do keep in mind that even 2000 cycles is a lot of cycles. I have purposely been driving my own LFP bank to 80% DOD, even in the off season, & capacity testing every 50 cycles, to see how it responds. In just over 4 years I am now finally pushing 800 cycles and it was a venerable “boat-load” of work to get there. In a real world application the battery would likely not get cycled to 80% DOD every cycle thus the cycle-life could likely be higher than the 80% DOD figure would suggest. Course we then need to consider calendar life, owners who insist on floating LFP, and the temperature impact on capacity too. I do suspect LFP may achieve these cycle numbers but traditional lead acid “marine batteries” rarely exceed 15-30% of the lab-ratings when used in a PSOC environment. It is my thinking, & hope, that the Firefly may change that PSOC use to death ratio percentage. When I capacity test batteries for customers, and query them on use, number of deep cycles to 50%, recharging habits etc. they are usually quite shocked to find out their batteries are often destroyed in less than 120- 150 cycles, (many are destroyed in under 80 deep-cycles) despite the manufacturers lab data suggesting a cycle life of 1000+ cycles to 50% DOD. The biggest problem in the industry right now, and the battery makers know it, is that we lack any sort of quick-test for testing the actual battery capacity. Heck many batteries, right off the shelf, fail to meet spec for Ah capacity and 99.99% of boat owners never even know it. Unfortunately capacitance/impedance testers fail miserably at testing for usable Ah capacity so we are left with performing an actual 20 hour test. A 20 hour test actually takes considerably more than 20 hours by the time you are done. As of now the number of marine technicians who own this type of capacity testing equipment, and are willing to even do 20 hour testing, I can count on one hand. I think I actually know all three of them. Until this starts to change, and people start getting angry at what amounts to misleading marketing or the lack of data for PSOC use, the battery makers can continue to supply us with lab data that is completely irrelevant to the way in which boaters and off-grid users actually use the batteries. Can a PSOC use boater actually get close to lab ratings? I suspect they can approach 50-70% + but the time and devotion to their batteries in order to do this can be an inordinate amount of management and requires very carefully chosen equipment. Simply setting a non-temp compensated “smart” dip switch charger with three settings; Flooded, AGM & GEL to AGM is so far from smart it is not even laughable. Sadly this type of product represents more of the norm than the exception. How does a three position dip switch charger work for the widely varying AGM voltages below? Sure one setting might actually work, for one brand, that is, until the temp changes.. There are a lot of excellent stationary battery products out there but many of them are a poor fit for a motive application or the form factor is massive. I attended a seminar last year on the Aquion Energy battery, very cool, but really not suitable for boats. I do think the Firefly starts to bridge a gap between LFP and traditional lead acid but is it a panacea? I don’t yet know. From what I have seen, compared to other existing batteries, it is a definite improvement for PSOC use. Thanks Bruce for your comment. It’s good that a Firefly distributor has been able to confirm that PSOC operation of Firefly batteries has no impact on “cycle life expectations, expected battery life and/or warranty”. I’m surprised at that unequivocal confirmation. Although this use case is in no way suggested, maybe this is the battery of choice for users who see battery management as run the load until the battery is flat and some time later (today, weeks or months) give it a charge.  The camping market in Australia has some users who do exactly that. Our battery retailers love them. RC’s last post confirms our practice. We have been selling Lifeline batteries for 17 years. The best life (in excess of 8-10 years) has come from white boat owners who run a generator for many hours each day. The midrange life expectancy (5 to 8 years is common) and it comes from active cruisers who have taken our advice to give the batteries an extended absorption charge say around once a week. The time period can be a bit flexible to coincide with extended motoring or motor sailing. We have seen a few cases of Lifeline batteries lasting a shorter time. This happens in the case of under sizing, user error, unforeseen circumstance or in systems that are not set up correctly. Fortunately in the majority of use cases we were in a position to do a complete system design and implementation with battery monitoring and temperature control on all charging devices. We suggest not to be worried about taking the batteries down to 30% SOC on occasion if you know that you’ll be doing a lot of motoring the next day. However in general our advice is to run the battery between 50% and 80% SOC on a daily basis to minimise engine run time. I am yet to identify the significant benefit of Firefly batteries for intelligent users who properly equip and operate the electrical systems on their vessel in a prudent and responsible way. Yes there is the argument on manufacturers stated cycle life. But the Firefly battery bank still hast to be sized accordingly and it has to be absorption charged at some time – maybe not as rigorous as once per week. I see a place in the market for Firefly batteries as I do with Lithium, Lifeline and CS Chinese batteries. It all comes down to expectation. It’s only reasonable for industry professionals to paint a balanced picture based on comprehensive knowledge and data. Snippets of anecdotal evidence are good in the right context. I am anxious to get my hands on a Firefly battery to get a first hand experience. Hopefully we will identify a use case that is beneficial to our customers. Given the costs of having to replace a bank, or worse get home without out it, the incremental costs of a more robust system are easily amortized against the hassle. There’s value in the old Soviet design theory of design for minimal maintenance by the available staff, not requiring highly trained depot technicians with tooling. For that reason, I can see a high value to a set it and forget it of a sealed/system that is abuse resistant. Perhaps the Firefly and the LFP are steps in that direction. Traction and Golf Cart batteries are pretty forgiving, unless baked by overcharging in my experience. RC, how many battery manufacturers tell you exactly which settings to use on a common Balmar regulator? Many provide tech info, but it may still be a leap for most people which settings to use. My AGMs should have a few more years in them (!) but it’s never to soon to research their replacement. FF is looking good, as in “good enough”. Meanwhile I am interested in secondary charging sources; I agree that using only the engine/alternator in my sailboat is not good enough. The DOD charts show that no matter how long the batteries last, they still deteriorate from hard usage. Oh well. Outbackgary: “the battery of choice for users who see battery management as run the load until the battery is flat and some time later (today, weeks or months) give it a charge.” — well, maybe not totally flat, but isn’t that the point of “dead lead”? I can run the fuel tank of my car almost down to the fumes, although I do prefer to have at least a bit to spare. I can do it over and over again and not top off the tank, and my tank does not shrink. I can also know pretty well how much fuel is still in the tank. And it just takes a minute to fill it up. And the tank itself is neither heavy nor incredibly expensive. You have just described the almost perfect battery. However run a battery very low each time and you pay for it in cycle life. I know LiFePO4 to come very close on all counts provided it is not completely flattened. Yes they’re expensive but they are high performance, compact, light weight and easy to use. My lead acid forklift battery bank is going on 14 years in a Gozzard 44 sailboat. Our use is probably similar to many consisting of day trips, long weekends anchored out, several vacation weeks at anchor, rarely at marinas enroute. Certainly, home marina charging to 100% increases longevity though never leave it plugged in when away. A 210A alternator helps maintain the full charge. Hydration caps make maintenance simple. The battery box is approx 24″ x 24″ x 22″ holding 12 cells. Firefly question. It isn’t clear to me reading the literature, do you need to upgrade your power system to use this battery, and if so why. (1) Is the battery subject to damage from a standard alternator, or (2) Is the alternator subject to early failure from the battery, both, or neither? Like any battery, the manufacturer has set recommended absorption and float voltages. For the Firefly it should be charged temp compensated and is 14.4V absorption and 13.2V float. Kurtis, the inventor, is quite adamant that absorption at 14.4V & floating at 13.2V not be exceeded unless temperature allows for it. There is no current limit that would be easily achievable on a boat. The stated max charge rate is 250A for a single Firefly battery or 2.27C. At the factory I know they often charge them at 1C. For a 440Ah house bank 2.27C would be approximately a 1000A charge source, which is pretty much not easily achievable on a boat. Question for RC – Compass Marine. Based upon your research and this whole recent string of information, I just purchased 5 of the Firefly batteries for my boat. Four for the house bank and one for the starter. This was perfect timing as my old bank was hitting the decade mark, and I just converted my refirgeration/freezer system over to a 12 volt design – so I will be putting a much bigger strain on the batteries when we spend time off the dock. My on board charger is a Xantrex XC3012 30 amp charger. I also have a Balmar MC-612 on the alternator and a Duo Charge. The main question at this time is regarding the best setting on the Xantrex charger. Of all the modes available, the one with the lowest Float Voltage is 13.4V (at 77 degrees). This is the AGM setting which also has a 14.3V for the absorption stage. However the recommendations from Firefly seem to be for a 14.4v absorption and no higher than 13.2v for float. I am obviously concerned that if I float these batteries at 13.4v I will be damaging them. This charger also has “2 Stage” setting which does away completely with the Float stage. If I put it in the Flooded LA setting in “2 Stage” I can get a 14.4v absorption mode, then it basically turns off until the voltage drops to 12.5v. This is how I have it set at the moment. Is this what you would recommend? 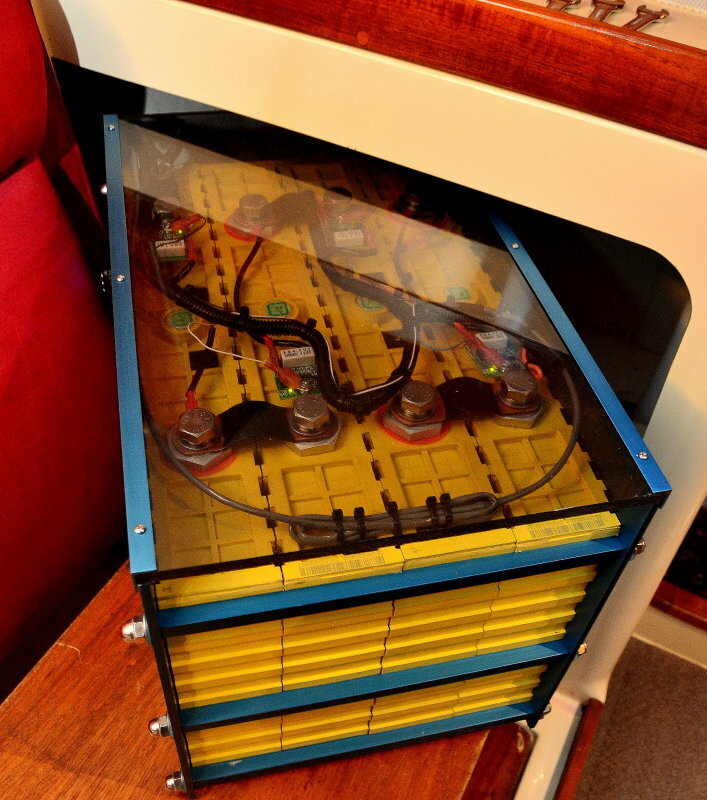 It seems that by taking this approach I avoid damaging the batteries by a too high Float voltage, but I am also putting a lot of partial cycles on the battery while we are at the dock – which is most of the time as we are liveaboards. If you feel this is not good for the batteries I am open to the idea of replacing the charger, but it would be a whole lot easier on the wallet and my time to leave it as is. Any thoughts would be appreciated. great thread! I am looking forward to more usage reports of the Firefly technology. My gels are going on 11 years so I will need to replace in a couple of seasons. I would be very interested to replace my 450Ah gel bank with a 250Ah bank of carbon foam. Bruce here with OceanPlanet Energy, replying before RC does, as OPE is the marine rep/distributor for Firefly. Interesting question re the Xantrex charger. I think that I also prefer the “2-stage” mode. However I am wondering how long it takes to drop to 12.5V (and then subsequently recharge to 14.4V)? Also how much time does it spend at absorption @ 14.4V? If doing a long absorption every day then that could be a bit much, and it simply isn’t necessary. However if it takes a few days at whatever your loads are to drop to 12.5V then probably fine. I’ll try to run this by the Firefly inventor here in Maine to get his take. Thanks Bruce. I’ve only had this up and running for a day and a half now, but it looks like it will go through one charging sequence a day. It seems to last for a few hours. I look forward to hearing the feedback from the designer. I am thinking that perhaps this 30 amp charger might also be a bit on the small side for the four batteries in the house bank. Any thoughts there? Of course if the only issue is how long it takes to get the batteries charged back up, it’s probably not a big deal since when we are on shore power it would at least be for overnight. I’ll find out. Btw, which of our dealers sold you the Firefly batteries, and where are you located? Just heard from the lead shop engineer @ Firefly in Peoria. Much preferred is the 2-stage cycling. Don’t float at 13.4V. The batteries will be happy with the short daily cycling…at such a low DOD the cycle life will be a very big number. The 30A charging is fine if that gets the job done fast enough for you. The batteries don’t mind a slow charge. I am in Berkeley, CA and purchased from Ltd Marine over in Alameda. Thanks, great to know…Liem is an electricians electrician. He set up OceanPlanet’s system for my RTW races and I learned a ton from him. He is essentially my electrical “Guru”. Just a couple more questions for Bruce or Rod. First of all, I did decide to replace my old Xantrex charger. I will soon be receiving a Victron Phoenix 50 amp model. It looks like this should give me good charging programming capability and also offers a direct voltage sense lead. My project now is to program the Balmar MC-612 alternator regulator. Can you please give me your recommended settings for this device? I am guessing it should be 14.4v for both bulk and absorbtion voltages and 13.2 for the float. Correct? What should I program in for the times? I have never programmed one of these before and it currently has the settings for the old gel batteries I just pulled out. I do have temp sensors on both the alternator and batteries. Yes, 14.4V bulk/absorption & no more than 13.2v for the float. The bulk/absorb. only really needs to be done now & then, if/when the batteries are discharged down under 12V or so. Otherwise no need to go above float for long. The Balmar MC likes to have a different bulk than absorption, I think it needs a .2V difference (RC knows for sure). So bulk to 14.4 for an hour or so and absorp. @ 14.2 for another hour or so is fine….however if you really want to get the full capacity for the following discharge cycle then you want to keep @ 14.2-14.4 until the current drops down to less tha 1A or so. Not necessary for battery maintenance, only just for getting the most Ah’s out of the next discharge. Bruce or RC, here is anoth one for you. I am hooking up a Blmar Smartgauge to the Firefly bank. Which program/battery type is the best one to choose for most accurate results? Since these batteries have somewhat different characteristics from other AGM’s, I’m not sure that is the best choice. One of the other choices is for Carbon Fiber lead acid. Is that anything like the carbon foam in the Fireflys? I’ll have to defer to RC on the Smartgauge details. He knows them better than anyone. The end of this comment (“until the current drops down to”) got lost, probably because of a less-than sign which was interpreted as an HTML open bracket. Congratulations to the commenters above who have 14 year old batteries, but that is like having a 14 year old dog. Probably not as peppy as a puppy but it’s okay to love it anyway. The most impressive lead acid batteries are the ones used in submarines. Even one of those is over the top, size and weight wise! I didn’t know you could still buy them (or that they still make conventional submarines). Thanks RC. Interestingly enough, I just received a response from Balmar to this same question. They recommend program #5 (carbon fiber lead acid). Any thoughts? The Nuke subs still have battery back ups (fairly big ones). Out side of the US there are lots of conventional subs. … told me how the diesel subs he first served on barely had crawl space over the huge lead acid battery banks but still some poor swap had to crawl around in there to check the fluid levels and top them up as necessary. Yipe! Forgot to mention, it’s a 1200 AH bank.